I'm thrilled to be headed back to Bethany Beach Books this May for another book signing! Last year, this event was so much fun. 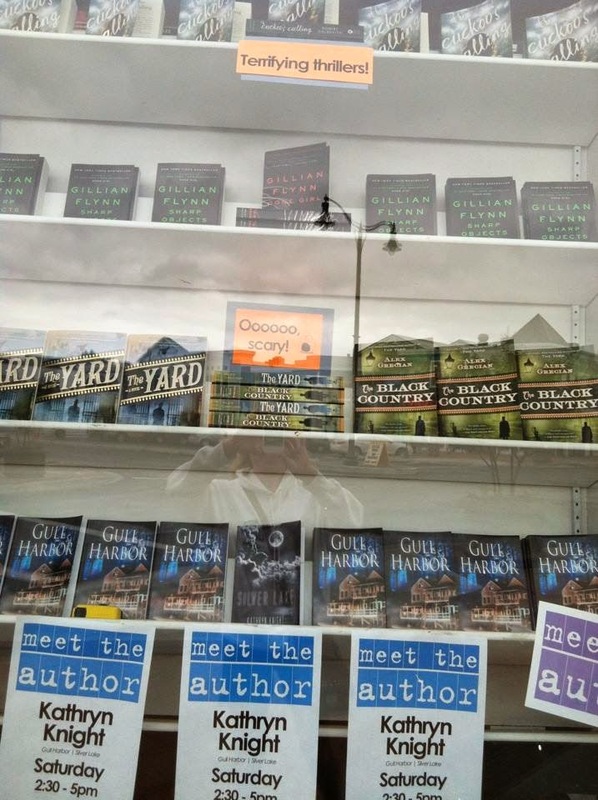 I arrived in Bethany to see my books in the window, on the same shelf as Gone Girl and Cuckoo's Calling, two bestselling novels. Banners and signs advertised the event, and I got to meet a lot of people and sign a lot of books! This year, I have a new book to sign - the Young Adult Paranormal Romance DIVINE FALL. I grew up in Maryland, and I spent many vacations and weekends at the Maryland and Delaware beaches (Rehoboth, Dewey, Indian River Inlet, Bethany, Ocean City). Now I live near a completely different set of beaches, on Cape Cod, MA. During the summer, there's at least one wedding every weekend at the beach we frequent...the sand and sea make for a wonderfully romantic setting. And at night, the moonlight playing over the vast expanse of endless ocean creates a mysterious and ethereal panorama. 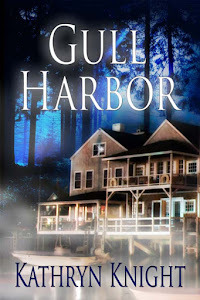 Since my novels combine romance with spooky suspense, it seems fitting that two of them take place near the beach. 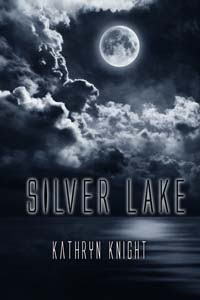 The ghost story/reunion romance SILVER LAKE is set on the sandy shores of a lake in Connecticut. Another ghost story and steamy romance, the #1 Kindle Bestseller GULL HARBOR, is set along the Cape Cod National Seashore. But DIVINE FALL is different, and not just because the protagonist is a teenager and the paranormal element involves Nephilim instead of a desperate spirit. 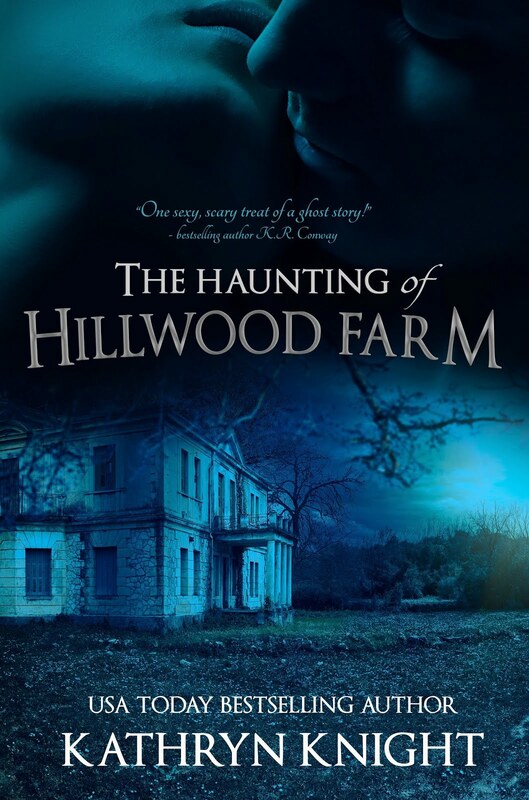 This book is set in the rural area of Maryland at the base of the Blue Ridge Mountains--an area rich in Civil War history, with wooded trails and horse farms spread out amongst the fields and valleys. Growing up, my family was lucky enough to have good friends living on one of these farms, and many of my best childhood memories take place there. So as the plot of DIVINE FALL grew in my imagination, the setting I pictured was the stable in which I spent countless hours of my childhood. I loved horses, loved to ride, and 16-year-old Jamie finds her only solace at the barn where she boards her horse, Beau, after tragedy tears her life apart. But when a mysterious new stable hand shows up, she soon becomes ensnared in his dangerous plans. And Dothan, a Fallen angel with nothing left to lose, will soon have to make a choice...continue on his quest for revenge, or protect the human girl he's grown to love. I'm hoping the Maryland setting will entice readers to take a quick break from the beach on Saturday and head over to the boardwalk to pick up a copy of my latest book! If you're in the area, come by and say hi - I love to connect with readers and writers. And you can always order any of my books--in print or for Kindle, Nook, or iPad, online! Just click the book title tabs at the top of the blog, and the links are all there for all the major retailers. Happy reading! I LOVE ghost stories...I write them, I read them, I watch them--see: Favorite Ghost Stories and Favorite Ghost Movies for the corresponding blog post lists--so when I heard Poltergeist was being remade, my first reaction was "Yes!" But then my second thought was "Are the actors involved in this crazy? Have they not heard of the Poltergeist curse?" A few years back, I researched the so-called Curse of the movie The Exorcist, and what I found was fairly creepy. So I decided to revisit the Poltergeist curse, to see what was truth and what was rumor. While a number of people associated with the original three Poltergeist movies have passed away, only two deaths stand out as sudden and unexpected, and both involved actresses in the first movie, which came out in 1982. The 22-year-old actress who portrayed the older sister Dana Freeling, Dominique Dunne, was murdered by her ex-boyfriend five months after the movie's release. The little blond girl who most people picture when they think of the movies--the child who announces "They're here" in a spooky singsong voice as static drones from the television set--died suddenly at age 12. Heather O'Rourke began playing the character Carol Anne Freeling at the age of six. A seemingly ordinary illness from the flu advanced into septic shock, and she passed away on the operating table in February 1988, before the third movie was released. These tragedies probably have nothing to do with subject of the movie--restless and destructive ghosts under the control of a demon known as the "Beast" who abduct a young girl via her closet. But I can see how the rumors of a curse might start, based on the deaths of young actors starring in a film about ancient spirits and desecrated cemeteries! Will I go see it? Oh, yeah, I wouldn't miss it. I love the adrenaline rush produced by scary films, although I also enjoy the emotional swings and romantic tension generated by movies about star-crossed lovers. If the combination of both appeals to you like it does to me, try one of my ghost story/romances, GULL HARBOR or SILVER LAKE. 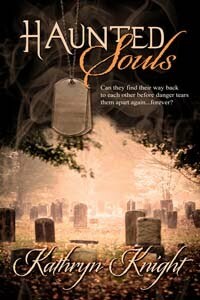 And coming soon, HAUNTED SOULS! All's fair in love and hauntings--just remember it's okay to sleep with the light on every once and a while. 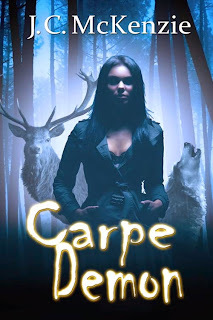 I'm very lucky to work for a publisher with a fantastic group of incredibly talented writers, and today I'm helping sister TWRP author J.C. McKenzie announce the release of the third novel in her Carus series, CARPE DEMON. The first two books are SHIFT HAPPENS and BEAST COAST, available now, so if you're a fan of paranormal romance, shifters, werewolves, vampires, and/or urban fantasy, grab all 3 in the series and settle in for an exciting read! Don't forget to enter the Rafflecopter at the bottom of the page for a chance to win $25! Threatened by the Master Vampire to deal with the Demon, Andy's complicated personal life doesn't make things easier. 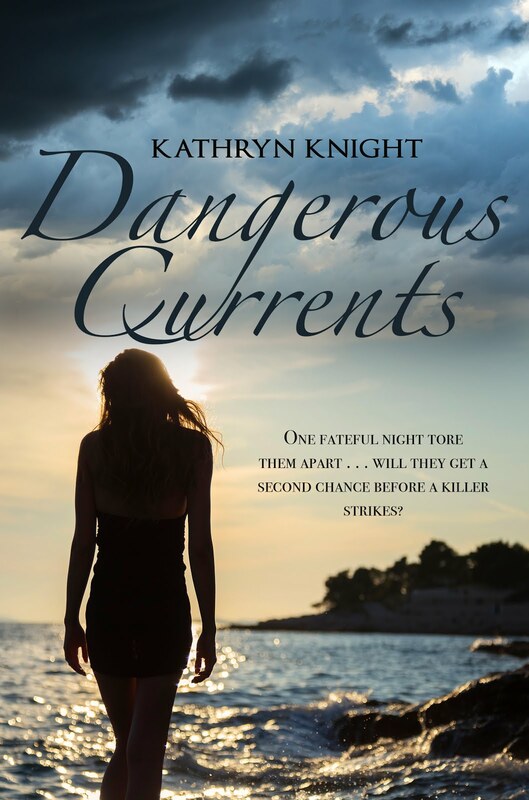 She's willing to risk her life and pride to keep loved ones safe. But how can she make a choice that will break one heart…and complete another? It's taken me a few weeks to be able to write about this. My cat of 17 years, Spazzy, died in my arms on Sunday, April 12th. 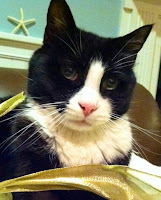 He was very old, but still enjoying life, and while I knew he couldn't live forever, I also knew I would never be ready. In a way, I'm somewhat glad I didn't have to make a painful decision about when it was time...that was taken out of my hands. He began panting and stumbling, and it was over within the hour...he died in the car on the way to the emergency vet. So I'm dedicating this post to Spaz and his brother, Shadow. I've always loved animals, and I grew up with a house full of pets and a horse that resided in our friend's barn. That stable in Maryland was the site of many wonderful childhood memories, and it became the inspiration for the setting in my novel DIVINE FALL. I managed somehow to have a dog, Bailey, throughout grad school, even though I had to live in a very undesirable apartment complex in order to have a dog with me. He became my husband's dog too when we married, and he moved with us to Cape Cod when I was pregnant. Once we had settled in to our new location and I'd had our son, I decided it was time to adopt more pets from the local shelter. My husband is not a cat person, but I convinced him, despite the fact that we had a 6-month-old child. He came with me to the shelter, and a little black kitten came up to us quickly with a sort of "get me out of here" rush of affection. I have an affinity for black cats, and I fell in love with this 6-month old black kitten (same age as our son!). Then I promptly scooped up that cat's littermate, a black and white kitten, and explained to my husband that we couldn't possibly separate them...and two isn't much more work than one! Their personalities dictated their names. Shadow was loving but cautious, and it took him a little while longer to establish a friendship with Bailey. Spazzy was...spastic. He had no fear. He would jump right in my son's little play yard and gently play with the baby. In that instinctual way of animals, he seemed to understand he was dealing with another infant, and the claws never came out. Spazzy was also obsessed with straws, and he learned to fetch them when we threw them. I had every intention of keeping them inside, but they were curious cats who found their way out time and again. We installed cat doors and it worked perfectly. My second son was born three years later. I would put one child in a jogging stroller, strap the baby to my chest in a carrier, put the dog on the leash, and walk around the block every day. And two cats would follow me. People stopped their cars to stare at our bizarre parade. When the kids got older, the cats would follow us to the bus stop on the corner. As they got older, though, they spent the majority of their time indoors...mostly on our laps or on our beds. Sadly, Shadow died at the age of 13. By that time we'd said goodbye to Bailey and rescued Winston and Sweetie, two dogs, via the Petfinder website. Saying goodbye to a cat I've had since my oldest son was a baby was incredibly painful. 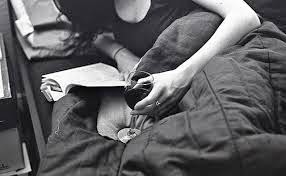 I miss him terribly, especially when I lay down to read. He'd often settle right on my chest, fighting with my book for attention. He'd plant himself on my lap when I was at my computer writing. At dinner time, he and our newest rescue, a border collie named Otis, would wait patiently in hopes some tasty morsel of food would drop. Mother's Day is fast approaching! My kids know that reading is my favorite past time, and they have a list of books I can't wait to load on my Kindle. Many ebooks cost less than the price of a card, and provide hours of enjoyment...not to mention relaxation, as reading is a proven stress-reliever! So why not email a suspenseful romance to all the moms in your life? on many occasions in both romance and suspense categories! sample to try it out! Sending an ebook as a gift is easy on Amazon--you just click the books link (see the bolded titles above), go over to the yellow "give as a gift" box on the right side of the page, and fill in your recipient's email address. Then you can include a personal "Happy Mother's Day" note if you wish, and you're done! Barnes and Nobel also has a similar "Buy as a Gift" option (to the right of the orange "Buy Now" button) if you need a Nook format! Each book tab at the top of my blog has links for the different retailers under the book title. A few weeks ago, one of the little icons on Facebook notified me that I had some new "Likes" on my author page, so I flipped over to take a look. While new fans always make me happy, the number on my page made me a little nervous...666 Likes. Yikes! Now, I'm a fan of everything spooky, but I still find this number a little unnerving. So, in the vein of some of my posts looking into Superstitions, Black Cats, the Number 13, I decided to do a little research into why these three digits are considered evil. The most straight-forward answer is the Bible. And before I go further, I should note first that I'm no historian, I'm a novelist. 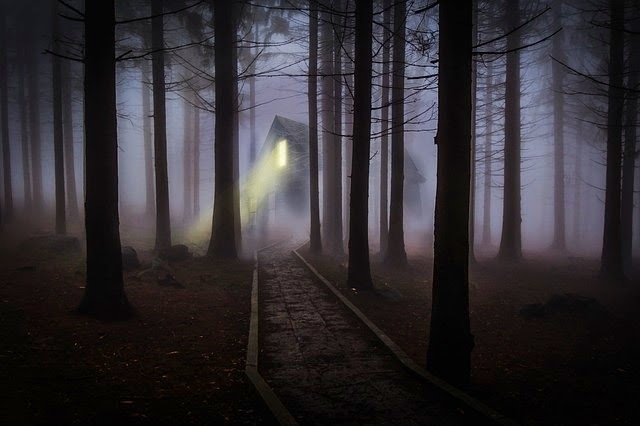 I get to deal in fiction, using my imagination to create mysterious hauntings and supernatural worlds. 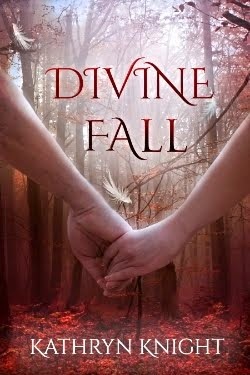 In fact, several passages in the Bible, specifically the section in Genesis which discusses the Nephilim, became the inspiration for my Young Adult Paranormal Romance DIVINE FALL. So while I enjoy looking into the cultural, religious, and historical aspects of things that interest me, especially when it might spark a new idea, I do so as a novice without expertise on these subjects. In most manuscripts of the New Testament, six hundred sixty-six is referred to as "the number of the beast" in Chapter 13 (there's that number again!) of the Book of Revelation. This final Book of the Bible is sometimes known as The Apocalypse, and the author is identified as "John"...possibly the Apostle John but also possibly another prophet. Evidence points to a date between 86 to 91 CE as the time of writing. In the Book of Revelation, two beasts appear, one from the sea, and one from the earth. The first beast is given power, authority and a throne by the dragon (identified as Satan or the devil in other passages), and it blasphemes God. This beast has the power to conquer God's people, and all inhabitants whose names have not been written in "the Lamb's book of life" will worship the beast. The second beast emerges from the earth and is described as having horns and speaking like a dragon. It exercises the authority of the first beast, and even causes fire to come down from the heavens. This is the beast that forces all people to receive the "mark" on their right hands or foreheads, and this mark is "the name of the beast or the number of its name". In the American Standard Version of the Bible, the passage Revelation 13:18 reads "Here is wisdom. He that hath understanding, let him count the number of the beast; for it is the number of a man: and his number is Six hundred and sixty and six." So, a horned beast with the speech of a dragon, rising from underground and commanding fire. It certainly conjures up the present-day images of the Devil or demons who inhabit a fiery Hell. As with everything Biblical, many various interpretations of this statement exist. One popular one is that the number was a kind of code for the Roman Emperor Nero, who, according to some historical sources, tortured Christians by lighting them on fire. He was apparently a violent and tyrannical leader known for executions, including that of his mother. He was also the first Roman Emperor to commit suicide, in 68 CE, after being declared a public enemy. 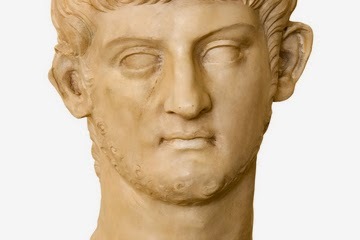 Many Christians believed Nero would return as the Antichrist. Not surprisingly, the number has been used as an ominous sign in many horror novels and movies...The Omen is probably the most well-known, as the creepy boy Damien had a birthmark of 666 on his scalp. There is a name for the fear of the number 666: hexakosioihexekontahexaphobia. Personally I'm not a fan of the number, but my sister thought it was fairly amusing when she moved to a new zip code ending in 666. Then again, she and I both love ghost stories and scary movies (The Exorcist is our favorite). However, there have been some notable incidents of people going out of their way to avoid a connection with this number. Nancy and Ronald Reagan changed the address of their new home in LA from 666 St. Cloud Road to 668. A high school cross country runner, Codie Thacker, forfeited her chance to qualify for the state championships when she declined to run in the regionals with the bib number 666. A US Representative had a legislative bill number changed from 666 to 702 to avoid "negative connotations".